No doubt this new AJPA paper is a prelude to a detailed ancient DNA study on most of the same samples. Objectives: Within the fields of archaeology and anthropology, there is a long history of disputes concerning the origin of the northern Black Sea Scythians. One of the main points of contention is whether the Scythian gene pool was derived from the preceding local Bronze Age population or whether their population history can be connected to invaders from Central Asia. To test these hypotheses, we investigated Late Scythian populations from the northern Black Sea region and compared them to Bronze Age groups from Eastern Europe and Central Asia. Materials and methods: We studied a cranial series of five Late Scythian populations from the northern Black Sea region (N = 323), as well as local Bronze Age groups (N = 109), Central Asian Bronze Age groups (N = 79), and Sarmatians (N = 110). Biological diversity was analyzed by the mean measure of divergence (MMD). Results: The Late Scythian population considered in this study proved to be genetically homogeneous, although some connections with the Sarmatians were found. We also revealed similarities between the Scythian groups and the local Bronze Age population of the Srubnaya culture, as well as, to a lesser extent, a group representative of the Central Asian Bronze Age Okunevo culture. Discussion: The similarities between Late Scythians and various Sarmatian groups could be the result of genetic contacts between the groups, as well as shared genetic origins. The gene pool of the Scythian population likely comprises both local and Central Asian genetic components, though the exact origins and proportion of the eastern component currently remains unknown. The Srubnaya outlier does receive a substantial amount of Yamnaya, while Okunevo doesn't. So, I don't think she came from Siberia. I think it is much more likely that she was from a currently unsampled IE population, and her integration into a Srubnaya community was probably reflective of socio-cultural linkages/connections across the Eurasian steppes. I can definitely see evidence of admixture from Okunevo-related people, on top of a Srubnaya-related base. So the paper makes sense, seems to be right. I think the deduction that Srubnaya outlier was "IndoEuropean" is rather presumptuous at this stage, especially given that Yamnaya admixture isn't required for optimal fit. I don't think we can ignore the fact that this sample is construed as 30%-35% Yamnaya, while the Okunevo samples get 0% under the same setup. I also included CHG, LBK, MA1, Loschbour, etc (in addition to the reference samples you see in the fits). Yamnaya admixture is quite distinctive in this context, and Srubnaya outlier always receives a very heavy Yamnaya percentage. The Siberian populations I ran also get 0% Yamnaya. So, it is pretty obvious that Yamnaya admixture is distinct enough from other North Eurasian-rich streams of ancestry, and is "diagnostic" of IE ancestry. Also, her lack of Siberian admixture shows she can't be from North Central Asia or Siberia (she is only around 1% Ulchi in my modelling). And her lack of "ASI" or heavy Iran_Neolithic shows she can't be from South Central Asia. The Srubnya ancestors of Sycthians migrated to Central Asia and the migrated back to Europe. There's no way to determine how much of Sycthian's ancestry is from a Central Asia migration and how much isn't if those ancoet "Central Asians" were basically the same as the people they meet in Russia. These findings support once again several facts we already know. 1.Srubna/Yaz (and likely Kura Araxes will be added for some Iranics) seem to play a role for th Iranic heritage. While Sintashta looks more and more like an early reflection of an Indo_Iranian or already Indo_Aryan subgroup. Means it was either a dead end culture with not a real descend or it is actually one of two components (+BMAC) responsible for the ethnogenesis of Indo Aryans. 2. Scythians were homogenous East Iranic and not like some confused peole claim, a mixed bunch. They had a natural fluent admixture with the Eastern Scythians in Central Asia absorbing some East Eurasian admixture. But their core (80-95% of their DNA) has always been West Eurasian. 3. Sarmatians and Scythians were different tribes and not one descend of the other. As already historic Greek accounts mention. The Sarmatians seem to be a fusion of Median colonizers that mixed with or absorbed some Scythian DNA. many ancient sources actually point out the Sarmatians being close relatives of the Parthians, which themselves too are a Median splitter group that has been influenced by a Scythian tribe known as Parni. Haplogroups also confirm at least a "southern admixture"in the Sarmatians by having some Haplogroups being more typical for modern West Iranics, such as. J1, G2a and R1a have been found among them. Now the Sarmatian J1 has been identified as a specific Iranic branch different from that found in the Caucasus but nowadays found in West Iran and West India. The reason why so many people actually think Ossetians are assimilated Kartvellian speakers stems from the confusion so many have about Scythians and Sarmatians. Thinking both groups should be almost identical and therefore taking Scythian sources as proxy for the Ossetians Iranic ancestry. They don't think about the possibility that the Ossetians stem from the most Southern branch of the Sarmatians who overall themselves were already more CHG shifted in comparison to Scythians to begin with. Ossetians stem from the kingdom of Alania in the Caucasus. There are actually some linguists that have been pointing out long time ago a West Iranic substrata in the Sarmatian language that lags in Scythian. EHG is right there in the models I posted. Can You do Karasuk also? On molgen someone posted a theory that Scythians mixed with Karasuk. Similar to Okunevo, but the fit isn't as good. Not sure how the non-outlier samples would stack up. Thanks. So mixing with Karasuk outlier like people is also possible. P.S Btw the Scythian Pazyryk culture had Y DNA N1b-P43. The paper is in Russian. They look like completely different populations (srubna Outlier vs other Srubnaya and Andronovo), making any linguistic link rather unlikely. That's because you have a totally different reference population set, and you aren't using the same amount of components. I discard 8, 9, and 10, as those dimensions involve Australian/Oceanian and African outliers, they don't have much relevance to Eurasians. In fact, those dimensions introduce some really weird noise, which is evident to me because of some testing I ran on an individual of partial Hazara descent, and a few other Central Asians with heavy Turkic/Mongolic ancestry. It's a long story. Instead of nMonte, someone should explore the Srubnaya_outlier using formal methods. Like trying some d-stat comparisons, and also by modelling her with qpAdm. The PC-based analysis is just too sensitive to reference populations, and just too sensitive to the number of dimensions used. We need something solid, or else we have no base upon which to draw any conclusions. So again, I'd encourage anyone with the time, and computational muscle, to do some exploring using software released by the Reich lab. Yes I agree and suspected that the reason for the discrepency is your using those modifications earlier discussed. Finnish mtDNA is consistent with my hypothesis that natural selection changed mHG frequencies in Europe. Finland has shiz loads of H, most of which belong to EEF subclades, but not much EEF; K, T2, J1c, etc. @Sein: "It is pretty obvious that Yamnaya admixture is (..) "diagnostic" of IE ancestry." As concerns Yamnaya-like admixture in modern populations, Estonians, Finns, Mordwins etc. rank at or close to the top. So Yamnaya seems to be at least as "diagnostic" of Uralic than of IE ancestry. 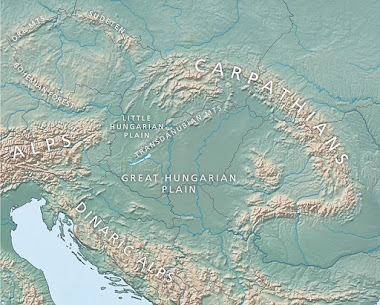 Current models for the spread of Uralic languages suggest it should have been well present north of the Srubna area, most likely in direct language contact. Otherwise, if you have the samples available, could you rerun the Scythian, Karasuk and Okunevo with alternatively Kennewick and Anzick1 included as possible sources? Not much ANE, but reasonably close to Okunevo. The PCA distances posted above, however, indicate that the relation wasn’t via MA1, but much more direct. Karasuk_outlier RISE497 is closer to some extant Amerindians (Mixe, Wichi) than to Kennewick and Anzick1, suggesting that she received post-Kennewick (7,300 BC) out-of-America gene flow (has anybody yet succeeded to break down RISE493’s yDNA beyond the Q1a reported?). The same may apply to Okunevo, who is closer to extant Amerindians than to Kennewick, though closest to Anzick1. If dimensions 8-10 aren't relevant to most Eurasians the nMonte results from using them should not be strange, as the values should be close to neutral. How did the Hazara result you got look odd? Even if the dimensions peak in some drifted and mixed populations we need to remember that there are more significant dimensions peaking in Native Americans and Siberians, which also are drifted and mixed. I also don't get odd/ ahistoric results like Srubnaya_Outlier-> Lithuanians. So it is hard to sideline some results when all other verifiable ones are more or less spot on. "As concerns Yamnaya-like admixture in modern populations, Estonians, Finns, Mordwins etc. rank at or close to the top. So Yamnaya seems to be at least as "diagnostic" of Uralic than of IE ancestry. Current models for the spread of Uralic languages suggest it should have been well present north of the Srubna area, most likely in direct language contact." The difference between such Uralic populations and IE Europeans is that they have extra 'EHG" and detectable Altai-Siberian admixture. By contrast, Baltic Indo-Europeans have notable ancestry from a circum-European middle Bronze Age koinon. Let me know if you want some figures. The cool thing is that I get those exact same results, with 7 dimensions. It seems 10 versus 7 doesn't change how Yamnaya and Corded Ware get construed. Also, I wouldn't exactly construe the Srubnaya_outlier-> Lithuanian as odd. Mainly because, as you may recall, that modelling did not have Yamnaya. So, it was only natural that Lithuanians would pick something that is EHG/ANE + ancient Irano-Caucasian, which both Yamnaya and Srubnaya_outlier happen to be. When I include Yamnaya, using 7 dimensions, Lithuanians prefer Yamnaya to Srubnaya_outlier. In fact, I'd actually consider the Lithuanian preference for Srubnaya_outlier (rather than Karelia_HG) a sign that using the first 7 dimensions is better than using the first 10. Primarily because Lithuanians received their ANE ancestry not from a pure EHG population, but rather from a mixed steppe population that also had ancient Irano-Caucasian ancestry (Yamnaya), just like the Srubnaya_outlier. Also, you do get some incorrect/odd results with your setup. If I recall those Karasuk/Okunevo results you posted, they all had Levant_Neolithic admixture, which we know can't be the case. Also, their East Asian ancestry was rather underestimated. In addition, under the setup you've used, the Scythian, who was obviously an Iranian speaker, had 0% Yamnaya, but did have a very heavy dose of Karelia_HG (if my memory serves me right. I'm referring to the screenshot you'd posted, around a day ago). So, using the logic you've applied to the Srubnaya_outlier, that Scythian must be a pre-IE Siberian! One has to apply the same rules to all of these results. Finally, here is one reason for why I caution against taking any of these results too seriously. I did some digging, and found a few qpAdm models David tried for South Central Asians (at my request, via email), using the Srubnaya_outlier. With her, none of the models looked good. But, with Yamnaya, South Central Asians modeled very well. So, as per qpAdm, the Srubnaya_outlier is less relevant to South Central Asia than Yamnaya. Just something to think about. Anyway, I still think it's pretty obvious that the Srubnaya-outlier was IE, and I think she had roots perhaps just to the east of the Urals, or perhaps in the steppe-forest zone. Digression: Using 7 dimensions does not constitute a modification. There are almost an infinite number of dimensions. So, besides some sort of ad hoc pragmatic framework, the amount of dimensions we decide to retain will be arbitrary. Using 10 is just as random as using 7. And since using 7 allows for better/more reasonable models, I just go with the first 7. I would only use the first 10 when modelling Africans, or perhaps the peoples of Australasia. The first example involves an individual with 25% Hazara ancestry (75% Afghan Pashtun, western Afghanistan). As per ADMIXTURE, he is 10%-15% East Asian. As per analyses using the first 7 dimensions, he is 10%-15% East Asian. But with 10 dimensions, he is 0%-1% East Asian, it all goes into his Andamanese admixture! The same applies to two Uzbek-admixed individuals (25%, the rest is Chitrali). The East Asian fraction is identical between ADMIXTURE and analyses using the first 7 dimensions, but all that East Asian ancestry is consumed by ASI-related references when using 10 dimensions. Also, with 10 dimensions many Pashtuns start displaying an odd WHG and EEF affinity, they lose a good amount of their ANE/EHG and ancient Irano-Caucasian affinity, which was weird. And I start displaying hyper MA1-AG3 affinity, strangely heavy amounts of pure ANE. With 7 dimensions, not the case, all Pashtuns get sensible results. No weird extra WHG for other Pashtuns, or a heavy shot of pure ANE for me. Those are the two problems I encounter when modelling South Central Asians with 10 dimensions; actual Siberian/East Asian admixture is consumed by ASI-related references, and a tendency for inflated WHG and inflated ANE develops. I wonder if the weird percentages have to do with sources, like how Karelia_HG occasionally in Europe seemes to get inflated numbers and eat into EHG compared to using AG's. As you know, the Burusho are a population that universally receive East Asian admixture in every analysis, and have East Asian Y-DNA + East Asian mtDNA. Around 7% East Asian is perfectly in sync with every analysis I've seen. With 10 dimensions, the East Asian admixture disappears, and the Andamanese percentage matches Pakistani Punjabis! It just doesn't make sense. The sheet doesn't have Hazara, so here is my 25% Hazara + 75% Afghan Pashtun (western Afghanistan) friend. The East Asian percentage is consistent with him being 25% Hazara (the Hazara range, depending on individual, from 40% to 60% East Asian), and matches his ADMIXTURE scores for East Asian ancestry. Much lower Mongola, and the Onge percentage makes no sense (with ADMIXTURE this guy gets only 10% for components that peak in South India, and those components are always heavily West Eurasian, yet he gets more than 20% Onge?). That WHG + EEF/ANF combo is much too high/weird (and again, the East Asian is too low). In cases like these, it becomes obvious that 7 dimensions is the way to go. I'll leave Srubna Outlier for now, we need more samples and tests. But it might be speculative in the extreme to make deductions as to what language she spoke as yet. About the Scythian, is it not possible for it descend from a non-Yamnaya, but EHG group ? What if there isn't any R1a in western Yamnaya, how can the Scythian descend from Yamnaya ? It seems that it's the models with Onge that get strange results with the 10 dimensions. For those (and a few other ones, like Native Americans, or to measure the euclidean distance between populations that are distant from each other), applying some correction seems necessary. But for most of the "normal" models (which use reasonably proximate sources) I think that it might be detrimental to just drop the last 3 dimensions (a compromise to get good results might be to apply the correct weighting, as suggested in some previous thread). Not a dramatic difference, as expected. Though it seems that with unweighted 10 dimensions the Paniya goes higher, possibly indicating that Onge would go much higher than it should. So the weighting does seem to correct the strangeness for that model. Significant difference, though we're talking about rather similar components. What seems clear is that it has a good amount of extra ANE over Karelia_HG and Yamnaya. And some preference for Iran_Neolithic over Kotias. It's anyone's guess where this woman came from, but I'd say that the eastern part of Central Asian is a good candidate (anywhere from the Altai to Tien Shan or the Pamirs). Those results look plausible, the only issue is the accurate measuring of ASI since Paniya has Iran_N. Maybe Sein's ASI ghosts could provide better results with 10 dimensions than Onge? Also, regarding previous discussions of non-Yamnaya EHG being possibly exaggarated if EHG is a source pop, here's the IBD heatmap of a ghost based on non-WHG parts of Karelian EHG and Motala. Unless a population's IBD signal's higher than that of Irish or English it quite possibly doesn't need ANE in excess of what can be derived from Yamnaya. IBS-based Eastern-ANE version (MA-1's non-Aurignacian/Goyetq116-like parts) which mirrors the previous one surprisingly well given the much deeper ancestry it represents. The queston is: When did the Altai-Siberian admixture arrive in Uralic populations? It may well only have taken place during the late Roman IA (proto-Bulgars, as assumed ancestors of the Chuvash) and the early Medieval (Chazars, Tartars, Golden Horde). Points in case are Estonians, which seem to have much less Siberian admix than Central Russians, while the latter are only slightly less “Siberian” than Mordovians. We have tons of aDNA from Samara Oblast, which to date houses a sizeable number of Uralic speakers, none of which (with the possible exception of the Srubnaya outlier) shows any Altai-Siberian admixture prior to the MBA. Ptolemy and early Byzantine writers still named the Volga as Rha, reflecting the Uralic name (Mordwinian Rav); Turkic Atli only appears in the 6th century. A different issue is the high Siberian admix in Saami. If I understand Dave correctly, he couldn’t accommodate the Saami in his latest qpAdmin Bronze Age scenario, so they seem to be a very special case. If you have figures on them, I would indeed be interested. Reindeer DNA shows no admixture between Fennoscandian and Siberian herds, which speaks against land-based movement. Also interesting are Mansi and Khanty, for their K10 Global PCA closeness to Anzick1 (rank 3 / 4 among non-Amerindians).Here, I am curious what a run with Anzick1 as source pop would yield. Immediate pre-Russian inhabitants of the Samara Oblast were mostly Turkic. There's a handful of Mordovians there now, but they may be recent migrants like Russians. In any case, various dating methods such as Globetrotter and ALDER date eastern geneflow of Mordovians to late Iron Age. Saami are Iron Age arrivals to Lappland and Central/Northern Scandinavia, and have an unknown linguistic substrate (Bergman, Aikio etc.). The preceding population could have been eastern, as the Bronze Age Bol'shoy Oleni Ostrov site in Kola has Z1a and D mtDNA in significant numbers, this indicates more recent Siberian in addition to EHG. But no autosomals, so we don't know if it was more eastern than Saamis for certain. @FrankN: Reindeer herding is a rather recent phenomenon, so there is no reason to believe that an e.g. bronze age migration of people from Siberia to Fennoscandia would leave traces in reindeer DNA. I suspect the issue is difficult becuase the spread of Uralic, and corresponding gene flow, occurred through the Urals and via the boreal forest route. So the dozens of samples we have from Samara valleys won't really demonstrate this, and it probably happened in the LB-IA. So we have a terminus post quem. Curiously Estonians don't register any. Were they Baltic IEs which language shifted in the late Iron Age? The other problem is that using something like Altai Iron Age is also a good proxy for Turkic influence. It even picks up in some Anatolian Turks !. I can't distinguish betwen Uralic, Turkic and para-Turkic/Hun/Oghuric influences at present, which in a group like Chuvash might be layered. This is the most earliest branching under N.
Some commentators suggested that it was a Cimmerian. But I am sceptic. The issue becomes more complicated if the spread is tied to geography rather than language, Globetrotter tests from Busby et al. suggest similar eastern ancestry (in type and mixture time) for both Chuvash and Mordovians etc. Overall, but if we look at something like Busby et al. and based on that assume Mordovians' ancestry is mostly Lithuanian-like with something Kyrgyz-like, then those two PCA's have Mordovians and Kyrgyz on the same cline. The ancient-based models may lack separation power because they suffer from lack of data from the EMBA/LMBA forest zone. Karasuk and Iron Age Altai could share significant ancestry, they're characterized by Y-DNA Q1a and R1a (Z93?) etc. I mentioned it, mainly because you had previously stated that your modelling of Srubnaya_oulier showed that she was unlikely to be an IE individual, but rather perhaps a non-IE person from Siberia or the Altai region. Yet, your modelling of an ancient IE sample (a known ancient IE sample, a "Scythian") was along the same lines! I was just pointing out the dissonance. Anyway, considering that the Eurasian steppes constituted a highly interconnected zone of socio-cultural exchange/linkages (by the time the Srubnaya_outlier was alive), I think it is a good bet that she represent some steppe IE population we have yet to sample (on a populational basis, but not totally unsampled, because we do have her individual data). We'll find out soon enough, once we see more extensive sampling. Until then, it is a circular discussion. It seems dropping dimensions 8, 9, and 10 has the same effect as weighting all 10 dimensions. So I'd rather drop the dimensions, since it seems that people who do math for a living (lol) say that weighting is bad. Apparently, they say dropping dimensions is perfectly transparent/reasonable, but weighting constitutes "distortion". I'm no mathematician, I just take their word for it. Very interesting stuff. So, EHG/SHG-based ANE yields an IBD pattern in which South Central Asians are comparable to North-Central Europeans. And IBS with MA1-based ANE shows a twin peak in affinity among South Central Asians and some Siberians. I have some interesting information to share, but I just need to do some more probing. After some more conversations/questions+answers with the scientist in question, I'll share what I've learned (or what I'm allowed to share). Yes, with IBS the peaks are Yeniseians and Samoyeds in Siberia and Kalash with their neighbours in SC-Asia. Pamiris are below Pathans which would be reasonable if their ANE is more recent.